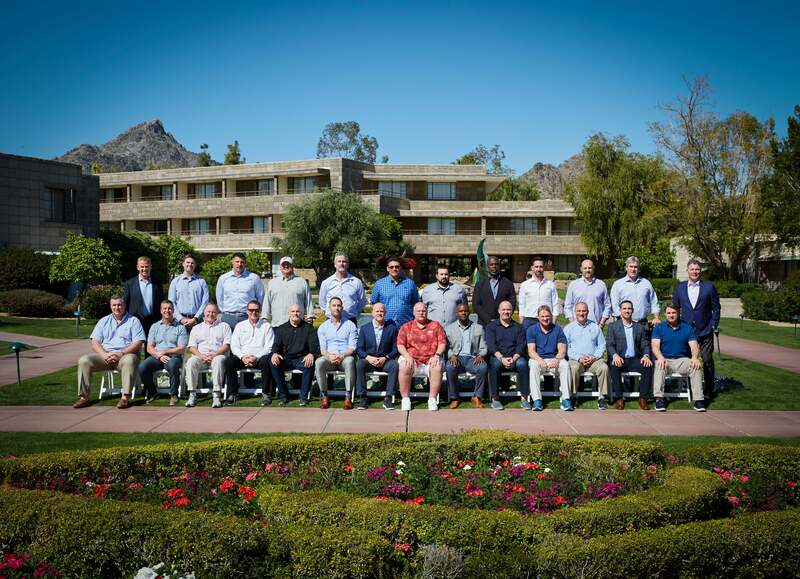 Twenty-six head coaches showed up for the class photo at this week’s NFL meetings in Phoenix. Look at all those bright, squinting faces! (Here’s the hi-res version.) This year’s absences: Bruce Arians, Pete Carroll, Sean Payton, Mike Tomlin, Adam Gase, and Sean McVay, who said he didn’t mean to miss picture day. The class of 2019 picture was not without its mild controversy. 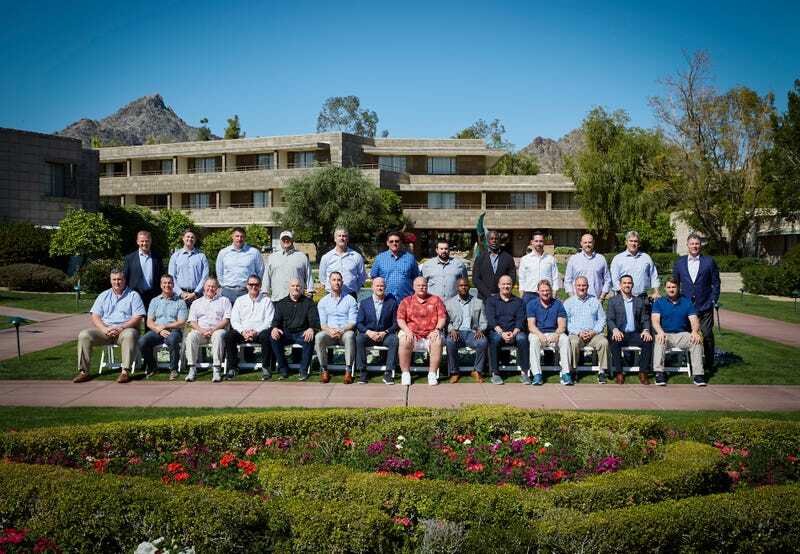 On Monday, Cardinals flack Mark Dalton tweeted a photo in which Skins coach Jay Gruden, all the way to the right in the first row, looks like he’s reliving all the things he’s had to do to please his boss Dan Snyder. As Gruden explained on Tuesday, he was actually looking down on purpose because the sun was so bright, and was planning to look up when someone gave him a signal. The photo we received has Jay looking less despondent. Also, he said “teat,” but that was unrelated.